Gough graduated with a PhD in Civil and Environmental Engineering from UNSW in 2016 under APA, ERA and ARENA scholarships, as well as first-class honours in Photovoltaics and Solar Energy from UNSW in 2011, starting as a Co-Op Scholar in Electrical Engineering. 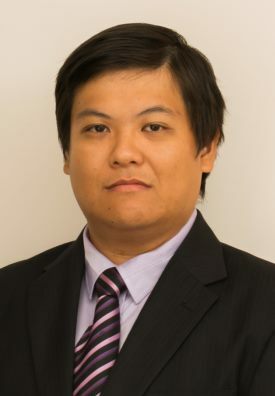 Previously, he researched photovoltaic-powered point-of-use water disinfection using ultraviolet LEDs, Wi-Fi positioning systems (under a Taste of Research scholarship) and was a laboratory demonstrator for digital and embedded systems design at UNSW. Gough was also formerly a research assistant and writing fellow with the Water Research Centre at UNSW. Currently, Gough is involved in the "Smart-Gloves" project, which is a collaborative effort between the BENS group within the MARCS institute and the South West Institute for Robotics and Automation in Health (SWIRAH). Beginning as a Research Assistant and moving up to a Research Fellowship role, this project aims to use embedded systems and sensors to provide objective measurements of dexterity to achieve a reduction in the learning curve for new surgeons. Highly passionate about technology and solving interdisciplinary challenges, he seeks to better the world by applying his wide-ranging skill-set in various areas of engineering to solve problems and make an impact in the biomedical space. Gough is also involved as an "engineer in residence" at Liverpool Hospital to foster new collaborations between clinicians and MARCS/BENS. My role within MARCS is as a postdoctoral research fellow within the BENS unit and a collaborator working with the South-Western Institute for Robotics and Innovation in Health (SWIRAH) at Liverpool Hospital. In this role, I help facilitate collaboration between clinicians at Liverpool Hospital and MARCS as an "engineer in residence". I am also responsible for the "Smart Gloves" project, which aims to understand the differences in dexterity between novice and experienced surgeons using embedded systems and sensors to provide objective measurements, while providing feedback to surgeons in real-time as to their performance in a way independent of the assessment systems already in place (e.g. paper-based evaluation). Through this, we expect to achieve a reduction in the learning curve for new surgeons. A full listing of publications can be found on my personal page here.